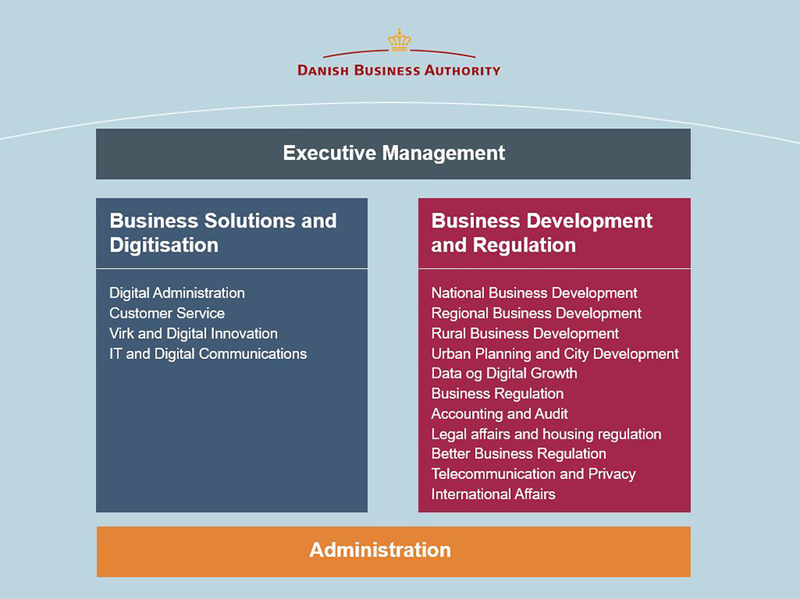 Overview of the organization of the Danish Business Authority, our board of directors, and contact information of the chiefs of division. The Danish Business Authority employs around 500 people who work at our facilities in Copenhagen, Silkeborg and Nykøbing Falster. Henning Steensig. Deputy director general. Lars Øllgaard. Deputy director general. Sigmund Lubanski. Deputy director general. Torsten Andersen. Deputy director general. Richard Hanlov. Deputy director general. Niels May Vibholt. Deputy director general.